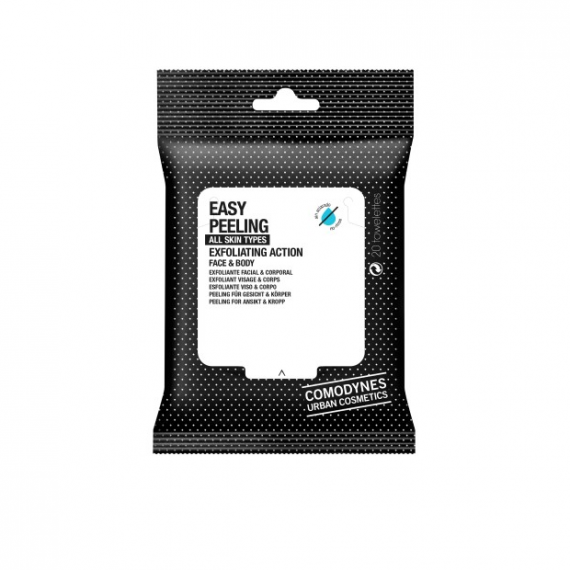 Achieve a smooth and even skin with the exfoliating facial wipe which cleans pores and gets rid of dead skin cells and comes in a size perfectly suited to fit into make-up bags, purses or bags. There’s no excuse! In just one step you have finished a complete exfoliation. Gets rid of impurities, cleanses skin pores and stimulates cell renewal. Ideal as a weekly treatment. Preparatory treatment for the Self-tanning line. Exfoliating facial wipes which deep cleanse skin pores , eliminate dead skin cells, leaving your skin free to breathe. It has a double exfoliating action – both mechanical and biological. The first, due to the micro-spheres in the fabric of the wipe, and the latter due to its formula containing biological assets which stimulate cell renewal. The use of the wipe maximises the results of treatments applied later such as moisturisers or self-tanners because the impurities are eliminated allowing for the penetration of the cosmetic active ingredients. Consult Frequently Asked Questions about the product. Apply by massaging on dry skin. Apply once or twice a week. Paraben-free. Fragrance allergen-free. No added dyes. Recommended for all skin types. Prickly pair extract: Originating in tropical America, this extract performs a biological exfoliation as it contains enzymes which have a “scissor” effect on the structure which holds the corneocytes tightly together. Glycerine and derivatives: Glycerine and glycolic and glucose derivatives with moistening and emollient properties, which favour moisture retention in the epidermis. Witch hazel water: An ingredient which reduces redness of the skin and favours skin cell renewal. Purifying facial mask with clay and green tea. The quickest way to make your skin look younger. Moisturising and antioxidant effect, reduces wrinkles, evens skin tone and revitalises the skin in just 10 minutes. 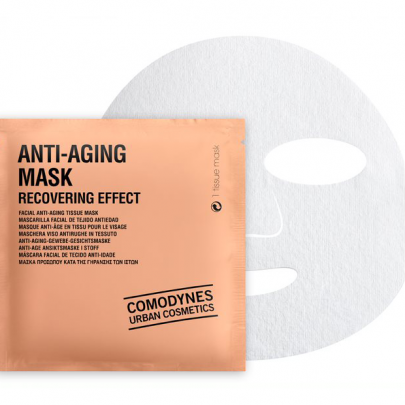 The Anti-aging Mask is the perfect shock or maintenance treatment and its practical format leaves you with no excuse but to look after your skin. Tissue format which maximises the penetration of the active ingredients. Pack of 3 tissue masks.